Purple Carrot is a perfect choice for individuals on plant-based diets who are seeking a simple and healthy home cooking solution. 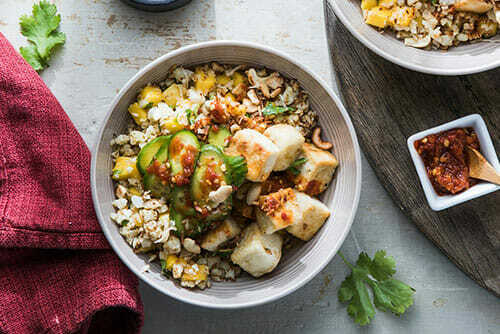 This vegan meal kit delivery service offers unique plant-based recipes suitable for all cooking skill levels and fresh, natural, sustainably sourced ingredients packed with nutrients. Whether you just want to cook easily and eat healthily or need a steady source of simple recipes and premium ingredients for high-protein vegan meals to support your active lifestyle, Purple Carrot has got you covered. Read this Purple Carrot review to find out more about this company’s excellent offer. Purple Carrot is a 100% vegan meal kit delivery that offers flexible subscriptions and straightforward pricing. Its recipes are designed to complement a healthy lifestyle, its ingredients are always plant-based, and its kits are delivered nationwide. The service was born out of the desire to introduce more people to the benefits of a plant-based diet. 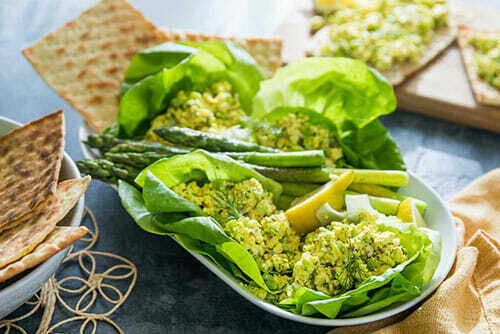 Although the number of vegans in the US has grown tremendously in the past years, there are still many home cooks who find plant-based meals and recipes intimidating, unsatisfying or simply dull. Purple Carrot aims to turn this frown upside down by making vegan cooking easy and tasty. 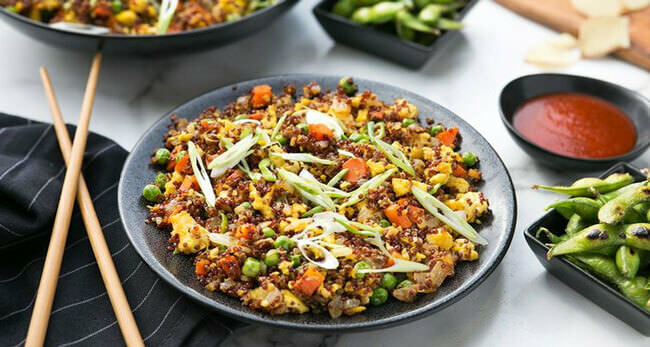 It offers home delivery of innovative step-by-step recipes and handpicked, pre-portioned ingredients that eliminate all the common excuses for sticking to animal foods. With Purple Carrot, you can never run out of vegan recipes to try out and plant-based alternatives can be delivered to your home in a click. This is great news for passionate vegans and vegan-curious cooks alike. While the service started out as dinner-focused, it has expanded its offer to include breakfasts and lunches as well, thus providing everything you need to eat healthily throughout the day. Its menu is not too vast, but the number of menu items has doubled since the service was launched, with the tendency of further growth. As one of the best vegan meal kit delivery services currently on the market, Purple Carrot is an all-in-one solution that can suit the needs of numerous home cooks who want to introduce more plants into their diets. As a Purple Carrot subscriber, you can choose from 4 distinct vegan meal plans for health-conscious and active individuals. Your weekly deliveries include 3 meal kits for 1-2 people, each containing an original recipe and the ingredients it requires. The service offers 3 standard meal plans – Chef’s Choice, Quick & Easy, and High Protein. Each plan is created with different cooking and eating preferences in mind, with the recipes ranging from innovative and relatively complex to easy and quick to make. 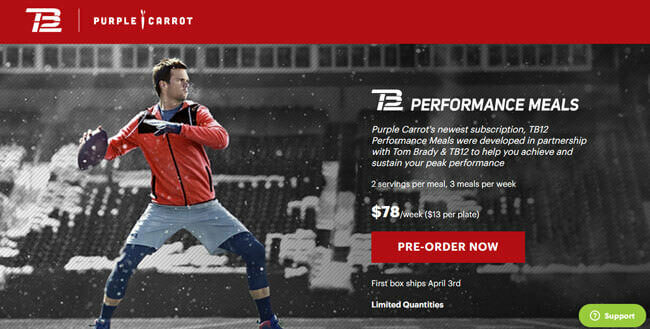 In addition to the standard plans, the service offers the special TB12 Performance plan, designed in cooperation with Tom Brady and TB12. This plan is best suited for athletes, fitness enthusiasts, and active individuals. If you opt for one of the standard plans, you can choose any 3 recipes from the weekly menu, which features 6 fresh dinner ideas per week. If 3 dinners are not enough to satisfy your needs, you can grab some breakfasts and lunches from the Extras section of the menu, featuring 4 items per week. 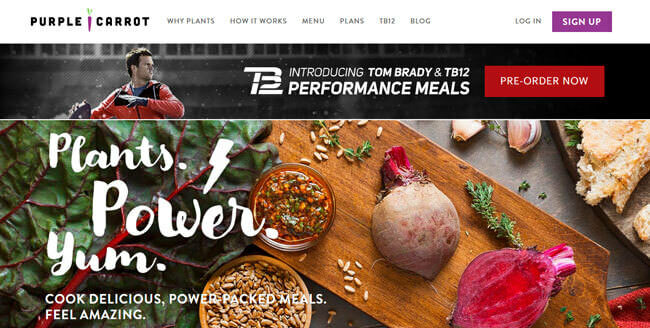 With the TB12 Performance plan, you do not get to choose your recipes. Instead, you get to try out 3 high-protein, gluten-free recipes crafted and curated by the Purple Carrot team. While the selection of recipes on the Purple Carrot menu is not vast, there is no need to worry. All the recipes its culinary team creates are incredibly innovative and delicious and simply perfect for those on a vegan diet or anyone who wants to eat healthily. The menu is definitely quite varied – it’s heavily based on seasonal foods and the meals are repeated only every once in a while. Being a meal kit service that aims to please, Purple Carrot never forces you to stick to a subscription that does not work for you or receive its kits when you have something else in mind. There is no minimum subscription period. You can customize your orders, skip a delivery or switch to a different meal plan whenever you wish. Finally, you can cancel your subscription at any time, no questions asked. You just need to remember that all changes to your order or subscription should be made before Tuesday at 11:59 pm EST the week before your next delivery is scheduled. With Purple Carrot, you can never run out of vegan recipes to try out and plant-based alternatives can be delivered to your home in a click. The very fact that it exclusively offers plant-based, 100% vegan meals makes Purple Carrot different from the rest of the lot. This kind of meal delivery services is rarely found on the market and comes as a wonderful surprise to all the hungry and busy vegans nationwide. As we have mentioned previously in this Purple Carrot review, the service now offers a 100% vegan, high-protein, gluten-free plan for athletes and people who are active in the gym or anywhere else. These meals are based on the diet of Tom Brady, the famous quarterback, and include meals that Brady and his family enjoy, as well as meals inspired by TB12 nutritional guidelines that shaped Tom’s diet. This company is also incredibly eco-friendly. Apart from using sustainably sourced ingredients it also ships just the right amount of ingredients in order to reduce food waste. On top of that, its sustainable packaging has recently got even better. Now, it features InfinityCore thermal liners that are made from recycled water bottles and keep your food fresh for up to 72 hours. Apart from being made of 85% recycled plastic, they are also extremely easy to dispose of – just take them out of the box, tear them down, and throw them into your recycle bin. You can check out the Recycling Info section of the Purple Carrot website for more useful advice on package recycling. If you are looking for a thoughtful gift for a vegan friend, you can opt for the company’s gift meal plans. You can choose the plan type – High Protein, Quick & Easy, Chef’s Choice or TB12 Performance – and the duration of the gift subscription and decide between 1 week, 2 weeks, 1 month, and 3 months of deliveries. The service now offers a 100% vegan, high-protein, gluten-free plan for athletes and people who are active in the gym or anywhere else. These meals are based on the diet of Tom Brady, the famous quarterback, and include meals that Brady and his family enjoy, as well as meals inspired by TB12 nutritional guidelines that shaped Tom’s diet. We stated previously in this Purple Carrot review that this company has invested great efforts into creating meal plans that would suit the preferences of virtually all plant lovers. Now it is time to discover what makes each meal plan unique. The standard plans are created with busy home cooks in mind. The Chef’s Choice plan best fits the needs of vegan foodies who want to easily cook impressive gourmet meals. The Quick & Easy plan is a perfect choice for beginners who want to cook tasty dishes in no more than 30 minutes, with minimum effort and cleanup. Finally, the High Protein plan is made for individuals who are always on the go and want to cook meals that can give them enough energy to breeze through the day. A great advantage of the standard plans is that they allow you to enjoy more than 3 Purple Carrot meals per week. Namely, the standard menu includes 4 additional items called Extras, which you can pick up in addition to your 3 weekly dinners. The Extras include two 4-serving breakfasts and two 2-serving lunches, all of which can be prepared in just 5 minutes or fewer. The TB12 Performance plan is somewhat different than the rest of the plans in that it is designed for individuals who are highly physically active. It can help you sustain your peak performance and it includes recipes that are always free from gluten, low in soy, and particularly high in protein. Unfortunately, the Extras are not available with this plan. Recipes created by Purple Carrot are 100% vegan, but that does not mean that anyone else cannot enjoy them if they want to eat healthily and try out a plant-based diet. According to sources like Physicians Committee for Responsible Medicine and American Journal of Clinical Nutrition, if you go vegan, you do not only reduce your carbon footprint, but you also have a 55% less chance of suffering from high blood pressure. If you go vegan, you can also reduce the risk of suffering from heart disease by 32%. That is what Purple Carrot brings you, without all the hassle of finding the best ingredients and searching for recipes. Unfortunately, due to the fact that its facilities regularly process, walnuts, almonds, peanuts, and other allergens, Purple Carrot cannot accommodate special dietary needs, except for gluten intolerance. However, you can contact the company in order to get advice from its recipe team on which ingredients you can use in order to substitute the ones you want to avoid. It often happens that companies that offer ingredients and recipes do not exactly supply you with all the ingredients necessary to cook the meals. Luckily, this is not the case with Purple Carrot. It only expects you to have vegetable oil, olive oil, salt, and pepper in your pantry and its job is to provide everything else. Purple Carrot meal kits cost $6 to $13 per serving. The cost per serving depends on the select meal plan as well as meal type (breakfast, lunch or dinner). While the prices are slightly above average, they do include the shipping and handling costs. All standard plans always cost $72.00 per week and include 3 meal kits, each yielding 2 servings, which amounts to $12 per serving. If you opt for the Extras, you pay $24 per kit, meaning that breakfasts cost $6 per serving and lunches cost the same as dinners, that is, $12 per serving. The TB12 plan is somewhat pricier. It includes 3 meal kits per week, 2 servings per meal, and costs $78 per weekly delivery. That means that one serving of TB12 performance meals costs $13. As we already mentioned in this Purple Carrot review, there are no hidden fees, everything is included in the price, so you do not have to worry about shipping and membership fees. Purple Carrot’s delivery map used to include only the Northeast, Mid-Atlantic, and West Coast. 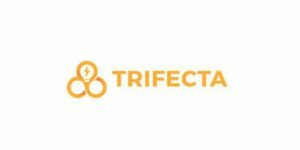 New fulfillment centers have allowed the service to start shipping its kits across the mainland US. Hawaii and Alaska shipments are not available yet. Deliveries are made on Mondays, Tuesdays, and Wednesdays. 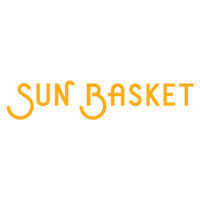 The company provides a tracking link for each order. You do not have to be at home to receive your delivery and the packaging should keep the food cool for several hours after arrival. To make sure Purple Carrot meets all your standards and expectations, it is important to know its biggest advantages and disadvantages. With a short overview of its pros and cons, you can easily decide if Purple Carrot is the right meal kit service for you. If you subscribe to Purple Carrot, you can easily prepare culinary masterpieces using only the ingredients and recipes found in your meal kit box. You may not be a pro chef just yet, but with Purple Carrot, you can easily make restaurant-grade meals. You don’t have to take our word for it – check out the images below to get a better idea of the types of dishes you can enjoy with Purple Carrot. Purple Carrot is the kind of meal delivery service vegans have been waiting for. All the meals on its menus are completely vegan and incredibly healthy. The ingredients are super fresh and the recipes are creative and tasty and take no more than 40 minutes to make. Purple Carrot is also very transparent when it comes to its prices, as all the costs are included in the price of meals and there are no hidden fees. The only problem is that it cannot accommodate the majority of special dietary needs and only offers plant-based and gluten-free recipes. However, we still believe that the majority of vegans would be highly satisfied with its service. It is definitely worth checking out. How to cancel Purple Carrot? Log into your Purple Carrot account and go to My Profile. In the Account Settings, click Change next to the Subscription Status. Choose the Cancel My Account option. Complete the short survey and follow the instructions to complete the process. Some of the ingredients that Purple Carrot uses are organic. Purple Carrot is a 100% vegan meal kit delivery service catering to individuals on plant-based diets who want a simple and healthy home cooking solution. 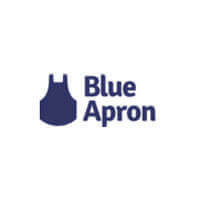 The company offers fresh, sustainably sourced ingredients and unique plant-based recipes. Our ratings are the result of an objective and independent evaluation of Purple Carrot, generating the final rating that reflects the overall quality of the company. Ratings may change as the service changes. Purple Carrot customer rating based on 28 customer reviews. I wouldn’t call myself picky, but there are foods I don’t like and there are foods I don’t even want to try. I like Purple Carrot and I’ve been ordering for months now, but it happened more than once that I had to skip because I didn’t like all the recipes. Sure, 6 is better than 3, but I still believe there should be at least 10 recipes per week, that way I wouldn’t have to skip and spend time grocery shopping and searching for recipes on my own, which I reaaaaalllyyyyy hate. I mean, it sounds like I’m unsatisfied, which I’m not, I loved everything I got from Purple Carrot, I just think it would be better for everyone if there were more recipes. I am a senior citizen that was given a gift of Purple Carrot after a major accident. I did not fill the gift order for months due to a subsequent major surgery. When I finally filled it, I was told , even though I only planned to get my gift box , I had to provide my credit card even though it was easy to cancel. My gift box arrived with 2 out of 3 of the meals having a major ingredient either totally or at least 1/2 rotten. I did not report this since I planned to only receive my gift box. I emailed a notification to cancel, which the company said they received, and sent in a subsequent survey. The company said they never got my survey and the steps needed to cancel were not followed, even though I had been assured these were simple. I heard nothing for 1 month, at which time I was told I was receiving a box the next day and had been charged $72 for goods we did not even like. We sent the box back and complained, but were told we had signed a contract and no reparations, let alone apologies, were offered. My husband is retired and I am barely working. I feel this is a totally dishonest and unacceptable manner in which to run a business, and would never recommend this company to anyone. I received my first meal kit from Purple Carrot today, and I was horrified when I open the box. Where to begin. First, the inside of the box was a soggy mess because the ice packs had melted completely, and one was punctured so the slimy gel contents coated the entire order. Second, much of the produce - the kale (yellowing), avocado (rotten and mushy), scallions (rotten and slimy), and peas (rotten and slimy) - were inedible. I wish there was an option for zero stars. Needless to say, I cancelled my account. I'm going to cancel my subscription. Everything is so inconsistent. 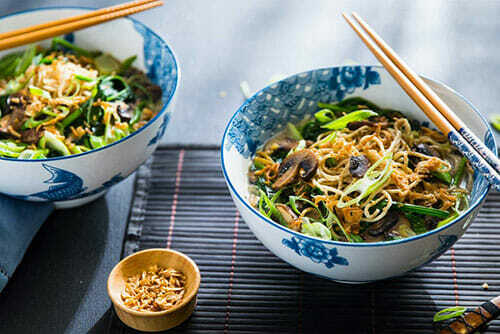 My first box arrived in good shape, and I prepared the Take-Out Style Noodles with asparagus and sesame ginger sauce. The sauce was delicious, and I will keep that recipe to make again. But the proportions was just so far off. I followed the directions exactly, even though it seemed to me there were far too many noodles for the sauce and asparagus. I should have listened to myself, and used about 2/3 of the noodles. 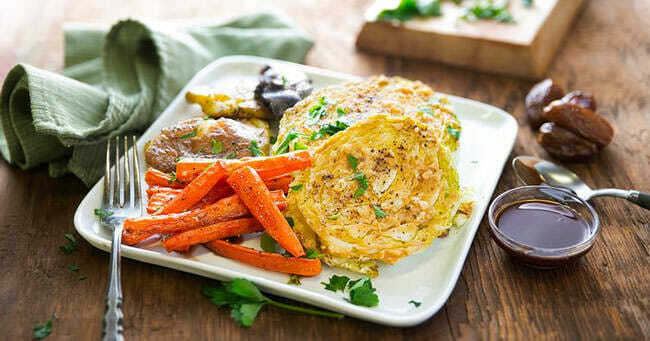 I next prepared the Curried Carrot Fritters. They were okay but not something I would make again. The tamarind "chutney" that was included was not good, and was not a chutney. It was just a weird watery sauce that did not complement the flavor of the fritters. The mango/avocado salad was not worth the preparation time. My third dish -- Blueberry Barbecue Skewers -- was awful. For one thing, there were no skewers included, and I didn't have any. I ended up stir frying the tofu and vegetables, and serving that with the sauce. Unbelievably, the blueberry barbecue sauce was bland, bland, bland. I ate all of the dishes, because they are healthy and I don't throw food away. But I did not enjoy it at all.I received my second box before I had a chance to cancel after my first experience. It fell open and all the contents fell out on my living room floor. Upon further examination, it was obvious that either the box had not been sealed correctly or it had been damaged in shipping. It was also obvious that the box had come open at least once during shipping, since the contents were in the box upside down. The ice packs were completely thawed out, and there was some kind of gunk all over everything in the box. When I contacted customer service, they told me that everything was "probably essentially in good shape." BS. I asked if the agent would feed her children food that was in that state, and she agreed that she would not. I did get a refund for that shipment.Unbelievably, another shipment is on its way now, even though I tried to cancel. I know this is long, but please beware. You can make a lot of vegan meals for less than what this costs, and they will probably taste much better. Purple Carrot has no commitment to organic, and since their merger with Fresh Del Monte corporation I have given up all hope for them. The concept and inventive recipes are great - but there is no point doing this for unhealthy, pesticide laden, industrially grown crap. So sad about Purple Carrot. I would have loved to love you. So disappointing very complicated meals. Tasty, but lots of pots and pans. Several meals have shown up missing ingredients and recipes. The last box had all three meal envelopes opened, no recipies and no response from Purple Carrot. Save your money!! We found 1 verified Purple Carrot discount for April, 2019. $30 Off Get this amazing deal and enjoy $30 off your order! Sign up and we’ll let you know about future Purple Carrot promo codes. Discover more companies like Purple Carrot with our curated selection of Purple Carrot alternatives. If you like Purple Carrot but aren’t sure whether they are truly the ideal choice for you, you may want to take a look at our comparisons below to discover if one of their competitors is more suitable for you.